"Easy to use, robust tool"
Salsa Engage has robust online advocacy and fundraising tools. You can send emails to lawmakers, tweet at them or set up a call campaign. The targeting tools for email campaigns provides a host of options, from fundraising metrics to advocacy engagement. The design is all drag and drop and is easy to customize without needing to outsource the design to hard code HTML or layouts. My biggest frustration is that some of the output of reporting for email metrics doesn't include conversion rates. You can look at conversions and conversion rates for each individual email but not at the macro level. The insights tool does provide opens, open rates, click throughs, click through rates, and donations for email campaigns for whatever time period the user wants. One of our biggest challenges with our old tool was the design had to be set up with templates so if we wanted to A/B test a layout, we either needed our website manager to create or outsource the more complicated stuff. With Engage, we can set up multiple layouts for emails and landing pages to test out different layouts. "Excellent Peer to Peer Platform"
Our fundraisers found the peer-to-peer platform easy to use and loved that they received notifications each time a donation was made to their page. One thing to be aware of is there are a lot of sections on events and peer-to-peer that will need customization, such as sign-up alerts and donation alerts, and confirmation pages. Plan on running a couple tests before launching. Salsa Engage allows you to create multiple donation pages that can easily align with your organization's branding and can walk a user through the donation process. Having the ability to add in additional questions really helps to get the information you want from donors easily. Ease of use and really been able to customize donation pages has been a great asset. The ability to schedule follow-up emails to donors is also an added perk. Once you learn how to do it, it's easy to create forms. I often start with one of the "assets" -- templates created by other users available for me to copy and customize. At this point, I can't say there's anything I dislike. We are a very small organization. I need more experience using the product before I can express what I feel needs improvement. I will say that it takes time to create forms and pages to look the way you want them to look...but that's true for any product that you use. Take the time to watch the training videos. Participate in live training if it's offered. I wanted a tool that would interact with my CRM and help me with fundraising for my nonprofit organization. My requirement was a tool that would be easy to use, and not require programming skills. Thus far, we've used Salsa engage to do a fundraiser for our organization. We created a fundraising page that had a nice feel and design. I liked that the information from the donors who supported the event went directly into our CRM. This saves us time because we don't have to import the records from a 3rd party. "Salsa Engage - Challenging to Use"
Salsa does the basics of email marketing. It also connects to Salsa CRM, which allows us to connect fundraising and email marketing. Salsa Engage can be difficult to work with. When you "save" things, there are multiple save buttons, and so sometimes you think you've saved something and it hasn't saved. Also, not as easy to use to create visually engaging. When we switched to Salsa Engage, we were told that they would be adding more functionality but not much as been added. I would recommend to look at MailChimp of My Emma as alternatives. Connecting email marketing to fundraising. Also, we have automated email sign-up forms which has been helpful. You can also schedule emails to go out at a specific time, and see clear analytics on each email send, including open rate, click through rate, etc. - the basics. "Great for small organizations and beginners"
Salsa allows us to streamline communications and keep all of our contacts, emails, sign- up forms and fundraising in one place. It's a great software for general employees to create good looking online platforms that are able to be consistent with professionally made, branded items. For those who are trained in design/marketing, Salsa feels to simple. You are confined to the space of columns and boxes, very few fonts and editing choices. We are able to know who our communications are reaching, ensure that our contacts are getting all of our communications only once, and learn from the tool's analytics to ensure we are bettering our communications frequently. "Intuitive, Easy to Use, Effective Data"
I enjoy just how much data Salsa Engage is able to aggregate. It captures open rates, browsers, mobile vs. desktop, and effectively tracks these so they can be easily downloaded into an excel format. While their email and form editors have a learning curve and are somewhat rigid, they are rigid to allow many different email systems to accept your messages in a readable format. The email editor can be very rigid. You cannot deviate from the column and format options too drastically without requiring you so write your own HTML. Weigh the pros and cons of your current email marketing and event database vs. what Salsa offers. We do not host too many events, so that was not an important thing to us. Salsa Engage's event setup is good, but it may be cumbersome and basic for big sponsored events. We are tracking our user base better and know that people are receiving our emails at a higher rate. So far, our click rate has increased as well due to Salsa's ability to format correctly for gmail, outlook, and others effectively. It's extremely user friendly and there are a ton of tutorials if you forget something. The system easily connects with social channels and builds emails better than Mail Chimp. Since we have a donor list and an email list, this allows us simple ways to segment and manage all of the people in one area. There are some features that we will not be using but are required to watch videos on. It you need to manage a lot of people and different department, this is the perfect system. You can send emails, share on social media and manage donors while creating fundraisers from the same platform. It's perfect for a nonprofit company. "Simplified communications and event management"
Engage allowed us to reduce the number of platforms we were using into one. The software also provided us with the ability to see the effect our efforts were having with all of the data analysis. Dynamic groups was not a feature I thought would be very beneficial, but it is really helpful in segmenting our audience. The software works well for us, there isn't anything we don't like. Our learning curve was pretty short and the support team was always more than able to provide us with solutions. We wanted to online event purchasing ability for our supporters. We got that and so much more. Engage's integrated e-mail communication and ease of use gave us the ability to quickly respond to fundraising opportunities, which we did not have previously. 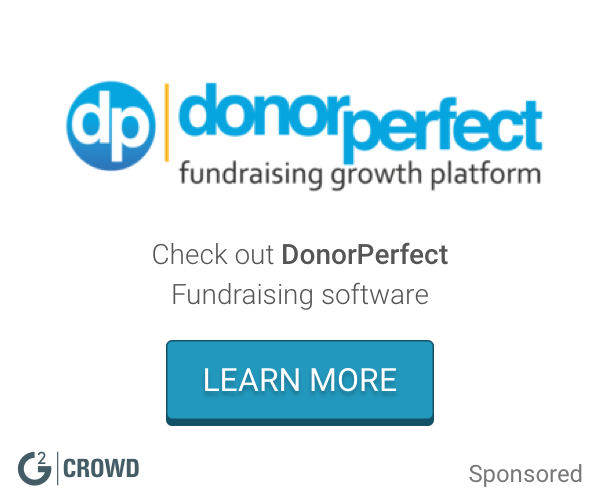 "Just the right size for a $1m nonprofit org"
We recently switched to Salsa Engage as our primary fundraising tool, transitioning over from Airtable. We chose Salsa after an extensive search process, including considering larger companies like SalesForce, because we were impressed by Salsa's intuitive interface, its capacity for multi-person use, and its simplicity of onboarding training. We haven't worked with Salsa Engage long enough to have significant problems with it, but when we've faced small bugs thus far, their team has been incredibly responsive. It's a young system, so I expect that glitches will happen, but I'm heartened that their customer service is great. We're using Salsa Engage as our cloud-based fundraising tool, helping us to track progress remotely and to manage various campaigns with individuals and larger funders. "Has potential for 2-4 years from now"
Everything else - it was clearly designed by people who don’t understand how peer to peer fundraising works and that shows in every interaction with the site. Information is hard to access, the registration module is very poorly thought out and the entire web design makes it feel like a transactional relationship with the participant. If you have any option other than engage pursue that. If you have to use this avoid the peer to peer component since it is the most poorly thought out part. Salsa is replacing its current product friendraising with engage and thus far we have realized no benefits and it has created more problems than it solves. Engage, when partnered with Salsa CRM is an excellent constituent engagement and management tool. It's web-based, no worrying about installation of software on your PC, can access it on the go/through mobile, fairly user friendly. It's nice being able to send out communications to your Salsa database and have it tracked when using engage. Saves our Development team time. I wish it ran a bit faster, would like to see a better mobile platform for use on the go. Doing a better job of tracking donor engagement/outreach. Able to better track posts through social media, easier to send out emails/communications through Engage than pulling lists, exporting, uploading, etc. I like having Salsa because it centralizes one place to collect supporter data, create events, email participants, and more. It has eliminated our need for various other platforms. Additionally, customer support has been generally responsive and all forms are ver customizable. There are certain features and/or lack of features in the event tool that are frustrating. My major issue is that there is no way to create discount codes for participants, which make using their event platform unusable for many events. Also, it would be nice to be able to see survey responses without having to download .csv files. Salsa is a great starter CRM and engagement platform for small nonprofits, and we have been mostly happy with the platform starting out. There are changes coming down the pipeline that are supposed to fix our biggest issues with Salsa Engage. Once they are in place, our satisfaction will go up. We can now look up one person's name and identify what else they have done with our organization such as event attendance, donations, etc. It saves time and enriches our understanding of our supporters' engagement with our non-profit. "Salsa Engage: Another Great Addition to the Salsa CRM Software"
Engage has made it so easy to communicate, track, and analyze non-profit interactions--from donations to event registration to peer-to-peer funding. Nothing so far, and I'm sure we'll find additional uses for the software. At that point, we might uncover an issue, but it seems to be running quite smoothly. Great for even beginning users. I am a fundraising consultant acting as interim development director for an agency. With absolutely no training, my colleagues and I were able to jump in and start working in a few hours. Salsa Labs has our highest recommendation. The platform is easy to use and offers many engagement opportunities with our supporters. The Salsa Labs employees are courteous and responsive to questions. Their technicians efficiently and effectively trained our employees and remain available for any questions we had along the way. "A good email and targeted letter solution"
The ability to create form letters and send email blasts. Seems like Salsa is a bit slow to adopt some functions. For example, only recently was social sharing added to email blasts! Also, I wish the design elements were a little more customizable. Overall very good, though. We use Salsa Engage to set up form letters and email blasts for our action alerts. We have an engaged audience. "Huge Upgrade from Salsa Classic"
Easy to build emails and advocacy pages. You can't flow text around a photo naturally. You're forced to insert a double column, add text and photo separately and then add a single column text block underneath to continue your body paragraph. This can look really clunky. We use Engage to manage our grassroots communications and advocacy. It's simple to use and easy to create a page quickly. Easy to use. Great analytics. Very fast distribution of email blasts. We like everything about this software and are very satisfied. I highly recommend this program for any nonprofit that wants an effective and intuitive system for their online needs. Great product! We couldn't be happier! Expanding our reach and building constituent list. "External communications including event pages made easy!" The drag and drop design turns the heavy task of ticketing and external marking into a manageable task for anyone. With prepopulated templates, you are able to keep messaging cohesive. The communication with engage and its consitiuent management counterpart needs some improvement. Data conversion can be a bit messy at times. External communication and event ticketing solutions are propelling our growth. * We monitor all Salsa Engage reviews to prevent fraudulent reviews and keep review quality high. We do not post reviews by company employees or direct competitors. Validated reviews require the user to submit a screenshot of the product containing their user ID, in order to verify a user is an actual user of the product. Hi there! Are you looking to implement a solution like Salsa Engage?